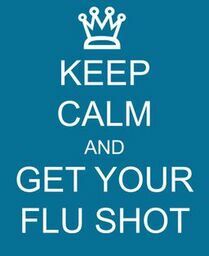 The CDC says the best way to prevent flu in diabetics is to make sure they receive an annual flu shot. While the flu shot is not a guarantee that your aging relative will not get the flu, it can make cases of the flu milder. They should also get a vaccine to prevent pneumonia. Keep hands away from the mouth and eyes since touching them can allow germs on the hands to enter the body. Disinfect surface in the home that are touched frequently, such as doorknobs, faucets, and counter tops. The senior should continue taking diabetes medicines as directed. Talk to the doctor about whether insulin doses should be changed during the illness. Test blood sugar every four hours and write down the results of each test. Prevent dehydration by offering even more fluids that normal. However, remember to avoid sugary drinks and excess calories. Monitor the senior’s body temperature. If they develop a fever, it could mean they have an infection. Make sure over-the-counter flu medicines do not contain excess sugars. A doctor or pharmacist can recommend diabetic-friendly medicines. Try to ensure the senior eats regularly. If they do not feel like eating, try offering soft foods or soups. Home care services can both help prevent the flu and assist with diabetes management during a case of the flu. Home care services providers can drive the older adult to have their annual flu shot. They can also remind them to frequently wash their hands and assist with keeping the house clean and disinfected. When the flu strikes, a home care services provider can remind the senior to test their blood sugar more frequently and write down the results for them. Home care services providers can also prepare healthy snacks and offer extra fluids. If you or an aging loved one are considering Home Care Services in Upper Darby PA, please contact the caring staff at True Direct Home Health Care today.